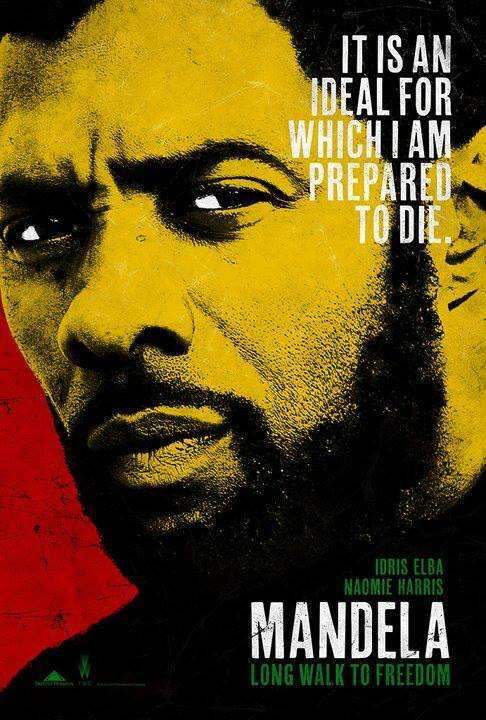 Mandela biopic starring Idris Elba coming soon! Something exciting I’ve been reading about is the biographical film of Mandela’s life, “Mandela: Long Walk To Freedom”, which is being released in South Africa in just five months. Entirely South-African made and the only motion picture with full endorsement from Nelson Mandela himself and the Nelson Mandela Foundation, I can’t wait to see this! Film producer Anant Singh announced on 27 May this year (which marked the 50th anniversary of Nelson Mandela arriving on Robben Island as prisoner) that the film is in its final stages of post production and will be released on November 29. The film started development back in 1996 when Singh was granted the film rights to Mandela’s autobiography by Mandela himself. It’s amazing to think after all these years of planning and execution, we will finally get to see it. Directed by Justin Chadwick, it started its principle photography a year ago and shot for 16 weeks around South Africa. The movie begins in 1924 and follows Madiba from his early childhood, through to his arrival in Johannesburg and culminates with his election as president of South Africa in 1994. During the course of the film, three actors play Nelson Mandela – Siza Pini plays the 8 year old Mandela, Atandwa Kani plays him at 16, and Idris Elba plays the remaining years. I absolutely love Idris Elba, he stars in the British TV Drama “Luther“. People say this role could see the popular British actor as a serious contender in the next Oscar race. I wouldn’t be surprised! Here is a related article if you are interested in reading more about the film. You can also like its official Facebook page here.